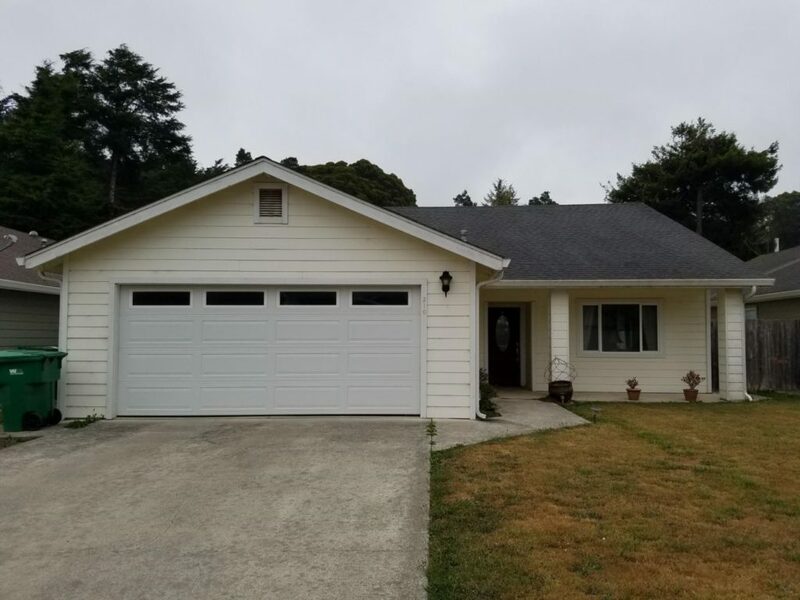 Located on the SE edge of Fort Bragg this 3 bedroom, 2 bath home built in 2004 offers City amenities, an open floor plan concept and private back yard. Spacious living room, large kitchen with vaulted ceiling and granite counter tops and walnut finished cabinets and center island. Large master bedroom with sliding glass door to sweet back yard, laundry room, F/A propane heating, 2 finished car garage with storage shelves.